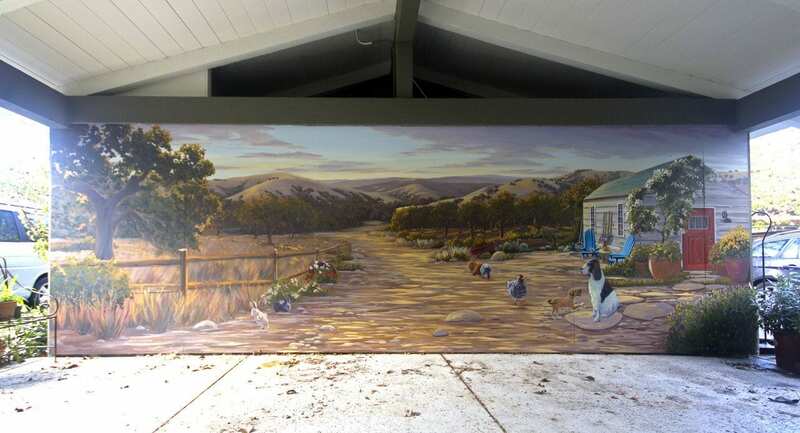 This mural is the perfect match for the idyllic environment in which it was painted. Denise lives on a quiet flag lot with a rambling yard full of beautiful sculptures, large oaks and a sunny vegetable garden. An model train and city artfully winds around a pond and waterfall feature, which she design and created herself. It was fun to paint for someone who is so clearly oozing with creative ability through her hands, especially in the form of a green thumb! The entrance to her house was dark, and did not hint at the beautiful oasis that lay beyond. 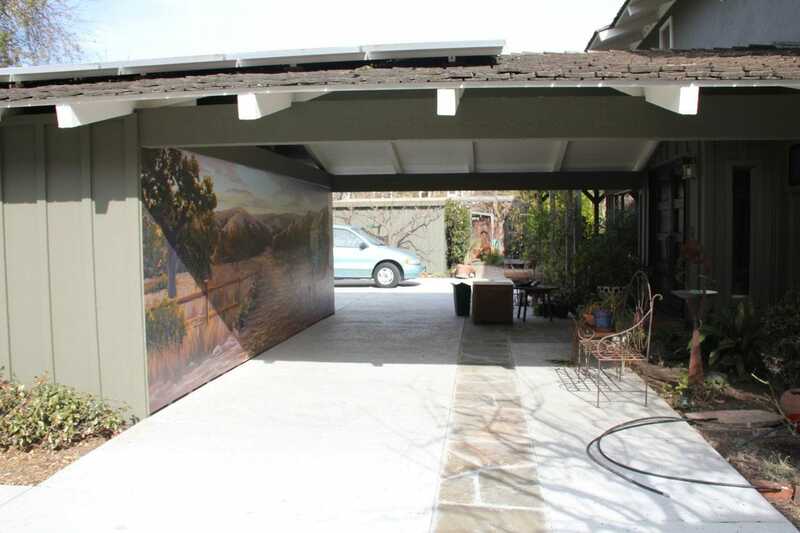 The circular driveway passes under a carport, a previously drab space. 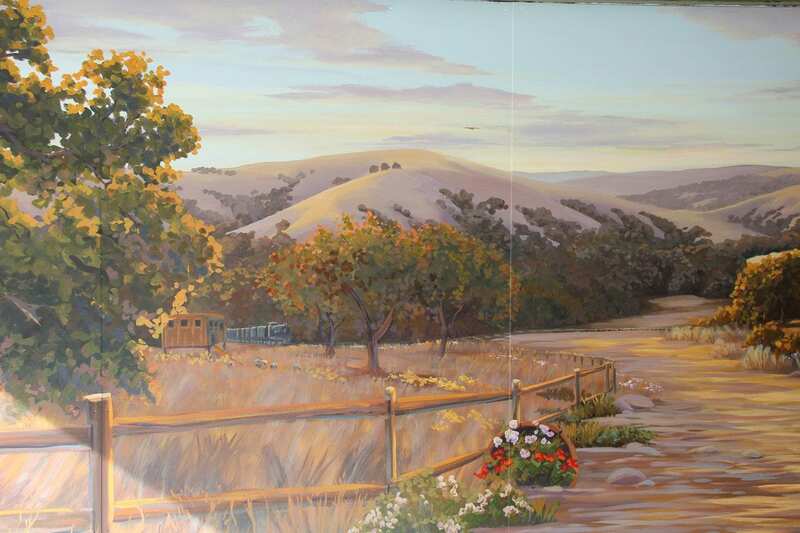 Denise painted the ceiling white, then hired me to paint a mural that would bring space and color to the area. 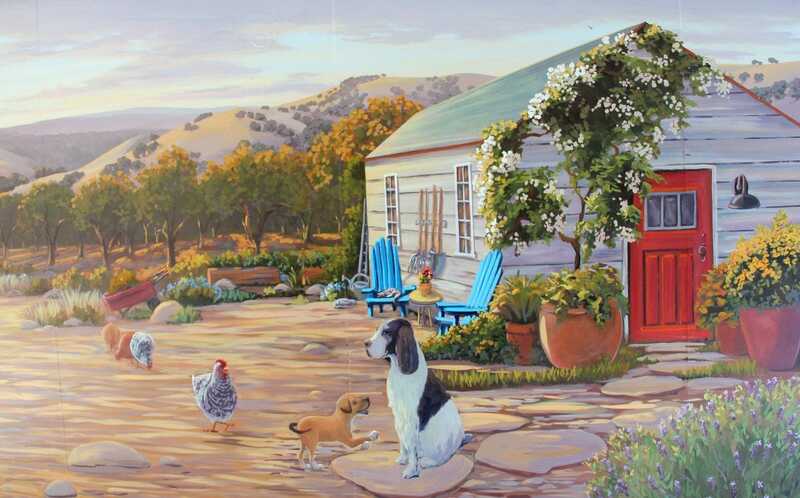 Now every time she steps out her front door, she is greeted with this beautiful view!